Are There Options After a DWI Conviction? The information provided and the views expressed on this site are NOT LEGAL ADVICE. Legal advice can only be obtained by individual consultation about a specific matter with an attorney licensed in the relevant jurisdiction. The image of the judge’s gavel hitting the desk after the verdict has been announced seems to be very final and definitely changes the course of the future for the defendant standing at the table. However, if you have previously been convicted and feel that there is reasonable cause to have the case looked at by a different attorney then you may have options. 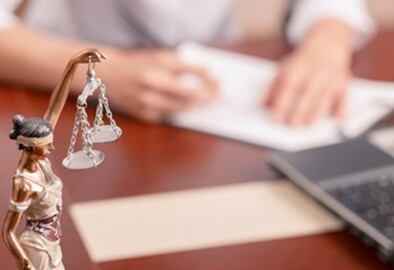 The procedure defining what can be done in getting cases re-opened is strictly enforced, so it is important to understand the process and to work with an attorney that is familiar with winning in these situations. DWI convictions in Jersey City and throughout New Jersey can be re-litigated through the post conviction relief process in some cases, depending on the facts of the case and the procedural (court process) history. The first obstacle is a rule imposing a five-year limit from the time of the original conviction, in most cases. If you are seeking to re-open a conviction then you need to speak with a DWI lawyer that can advise you on what to do and what your chances might be. One of the first steps is to gather whatever records you can from the prior case or cases so that you can bring them with you to the initial consultation. Otherwise, try to recall as much as you can and the attorney can gather your records if that step is indicated and you decide to go ahead. However, the process is of course easier and faster if you can provide your own records. You should also understand that not all lawyers are willing to handle already convicted cases because there is a lot of time and effort in the process without the guarantee of success. So when looking for a Jersey City DWI lawyer to take on such a matter, find someone who has experience and expertise in re-trials and work with them. Your future is affected by your actions and by the judgment of the court but just because they say ‘guilty’ does not mean that you have to leave it at that. There are a variety of reasons to ask for a new trial or to void a prior plea of guilty, and the best attorneys are going to know what to look for and how to build that case. Don’t let one decision change the course of your life while there may still be options remaining.